Let's keep the mountains beautiful! Alpine Exploratory is keen to promote considerate and common-sense responsible travel policies in order that we can all enjoy stunning mountain landscapes in future. Please have a look at our Responsible Tourism Policy below and feel free to suggest how we might improve. Alpine Exploratory groups follow the guidelines below. Clients on self-guided holidays are also encouraged to follow them. We split the guidelines into on-the-ground, environmental and social impacts. Take only photos, leave only footprints... a well-known saying and one that encourages us to make those footprints as harmless as possible! If faced with a tempting short-cut on a path, sticking to the main path will keep the scene neater and less trampled. Faced with the all too common wide muddy patch on a path, it's worth getting muddy boots by walking through the centre instead of helping to further widen the path by walking to the side. But please don't wade into any bogs! A small group imposes less wear and tear on the path. This is not just true for the group as a whole, but also true per person. This is because fragile ground is eroded more slowly by a given number of people if they walk on it in smaller groups spaced out over time than if they walk on it all at once giving it no time to recover. As well as being less harmful to paths, small groups mean more attention and a bigger role for each person, a better sense of team spirit with less faff, and greater safety in the unlikely event of an accident. When packing for your holiday, try to reduce the amount of packaging that you bring into the mountains. Disposal is often harder in rural areas, so the problem is avoided by not bringing extraneous material to start with. Once in the mountains, be prepared to carry your rubbish for a day or two until you reach a good bin. It's better for us to avoid using bins that we find on the hills or trails, because such bins might not be emptied often and also the bins discourage other people from packing out their rubbish. June and July in the Alps can be a very colourful time. The flowers are newly out and you can find yourself walking past meadows that are almost every colour of the rainbow except green! Higher up the mountains and at other times of year, flowers are less common due to the harsher environment. At all times, we should avoid picking flowers for any reason but be content with taking photos. Many upland species exist with very meagre natural resources and are vulnerable to any human interference, whether this is being trampled, being picked or having food and rubbish left in their environment. Animals and birds are vulnerable to humans, just as flowers are. This is especially true in winter when animals are often short of food. Being startled by humans uses precious energy, so we should avoid going too close. 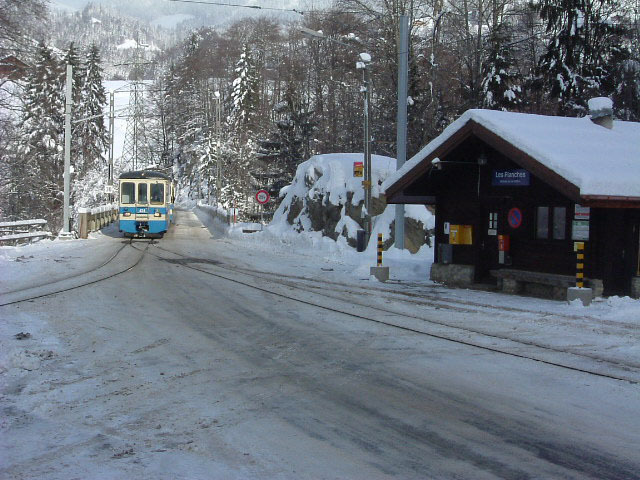 All Alpine Exploratory holidays can be reached by public surface transport (trains) from the UK, in some cases with a bus ride or short pick-up to finish. Your holiday notes include information on how to reach your holiday by train as well as by air. 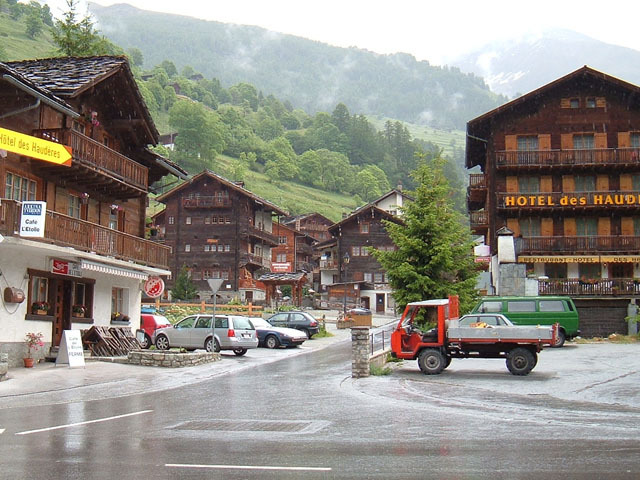 All Alpine Exploratory holidays are designed to work perfectly using only the local transport, so there is no need for a hire car (except in the case of our French Alps Multi-Activity holiday). In many mountain areas, local bus and train lines are surprisingly useful. On self-guided holidays your holiday notes show you how to use local transport to reach the walks described in your routecards. Of course, you are free to take your own car, or hire one, if you prefer. Our trekking holidays do not include baggage transfer as standard. (Baggage transfer is also called a sherpa service in some areas.) If you would like to have your bag transferred between each night's accommodation, we will be happy to arrange this for you for a supplement where this is possible. But it is interesting to consider the environmental aspect of baggage transfer. A typical mountain trek involves staging posts linked by rural roads, so a minibus driving between each point might cover several hundred miles during a holiday, especially if it is moving baggage elsewhere at the same time. By carrying your spare set of clothes, shampoo and other items it's possible you could save some pollution. As well as this benefit, avoiding baggage transfer allows us to keep our prices down and, we think, makes for satisfying self-reliant trekking holidays. The JMT is a UK conservation charity for wild land. Several key areas of the Scottish Highlands are now owned by the Trust including Ben Nevis, Sandwood Bay and parts of Skye and Knoydart. The JMT also works in other areas to promote good environmental practice. Alpine Exploratory team members have worked at or with the JMT: Keith Miller served as Senior Conservationist and Ailsa Gibson researched deer populations on the JMT's Skye estate. We're pleased to support the campaign by the UK's Foreign & Commonwealth Office to promote safe travel, Travel Aware (until 2017 called Know Before You Go). The FCO website has country news updates. Many of Alpine Exploratory's walking holidays run in Western Europe, where the standard of living is generally very high. However, trips visit some mountainous areas that are both dependent on, and vulnerable to, tourism. It is our joint responsibility as company, leaders and clients to do as little harm to these areas as possible. Using local businesses is an effective way to support the local society in the mountain region you're visiting. Your trade supports jobs in the local town or village. Additionally, if the local shop is also locally owned then any profit is more likely to be spent in the local region. These financial benefits to the locality have the positive spin-off for the tourist of making it more likely that that useful local shop will still be there next year! Typically, an Alpine Exploratory holiday stays in hotels, huts or guesthouses that are owned and run by people who live and work in the area. We hope you'll meet people with great knowledge of the local area and a strong interest in its well-being. 1 We aim to only go to destinations that can be reached by surface transport and where public transport can be used for all activities, where possible. Our joining notes will suggest how to join the holiday without flying. 2 We aim to use locally owned accommodation and shops where possible. 3 We aim to dispose of all rubbish where it will not harm the mountain environment. 4 We will use only International Mountain Leaders (IMLs) to lead our guided holidays; the IML scheme covers environmental practice and awareness of the mountain environment to a high level. 5 We will encourage good environmental practice within our groups, also helping participants to share their knowledge of good practice. We like to keep up to speed with developments in the responsible travel area - new schemes and new thinking in the industry. We regularly review how well we are meeting the aims in our Policy. We also consider the environmental implications of any new holidays and any changes in our business.